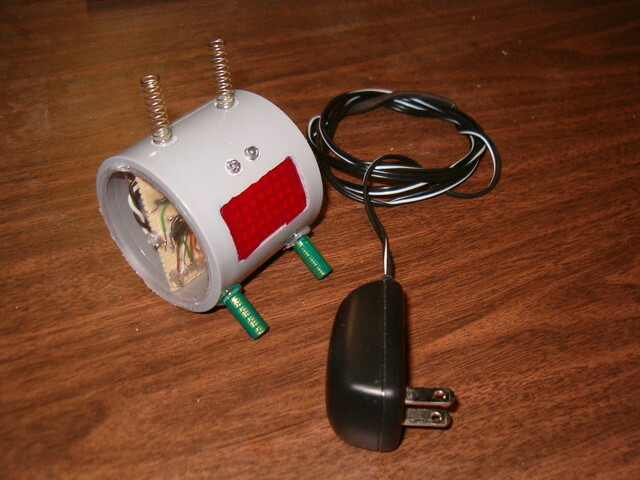 Mother Bug is an interactive electronic gadget I designed and built for my mom as a Mother's Day gift. 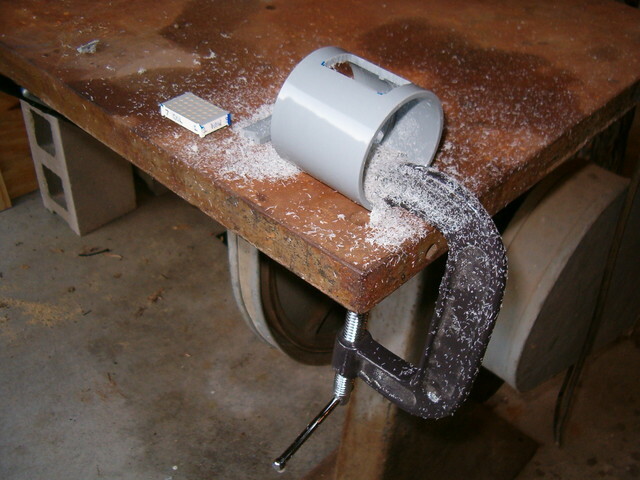 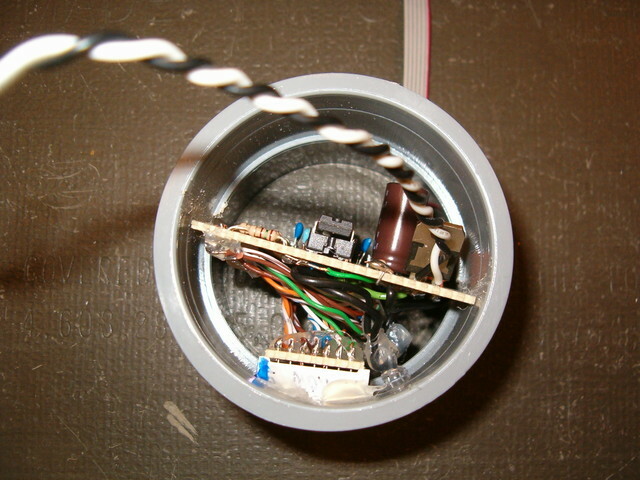 It is built almost entirely out of spare parts and scrap materials; making it both a unique and eco-friendly device. 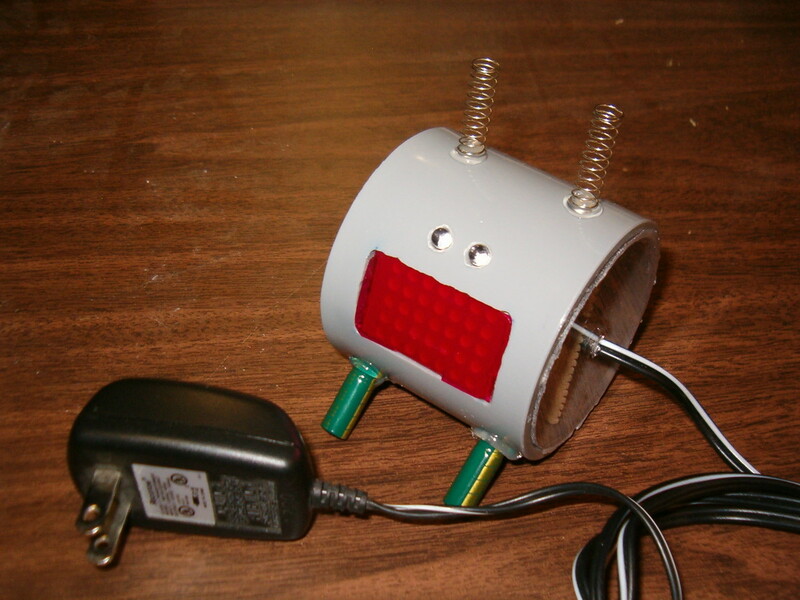 Who says making gifts can't be a fun and educational process? 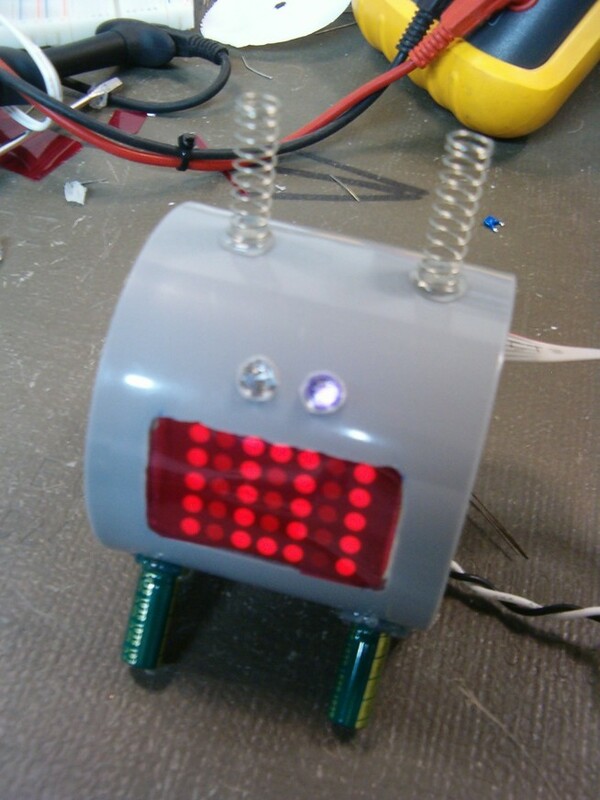 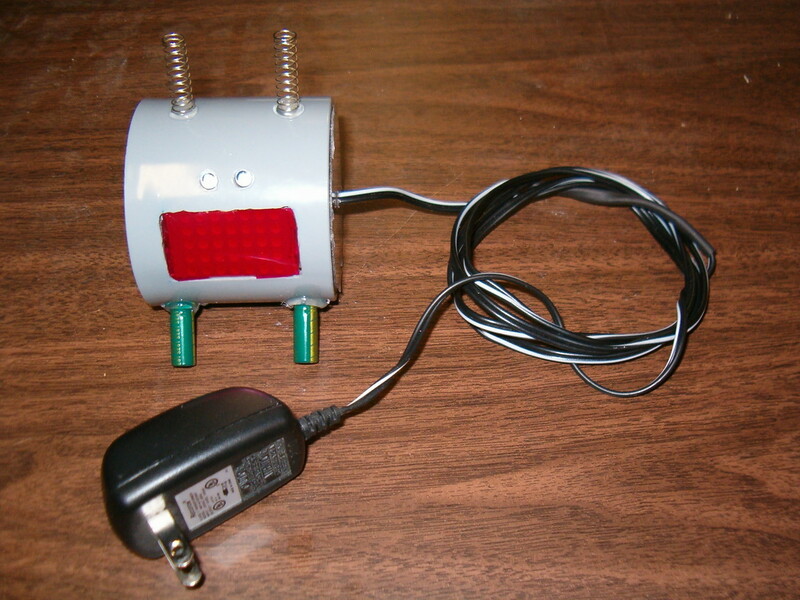 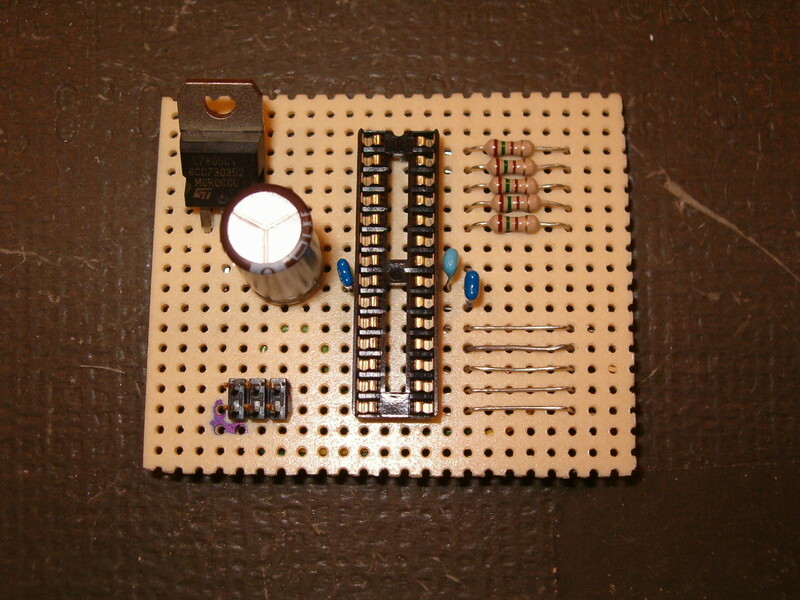 Mother Bug is a simple, interactive electronic message board... disguised as a "bug." 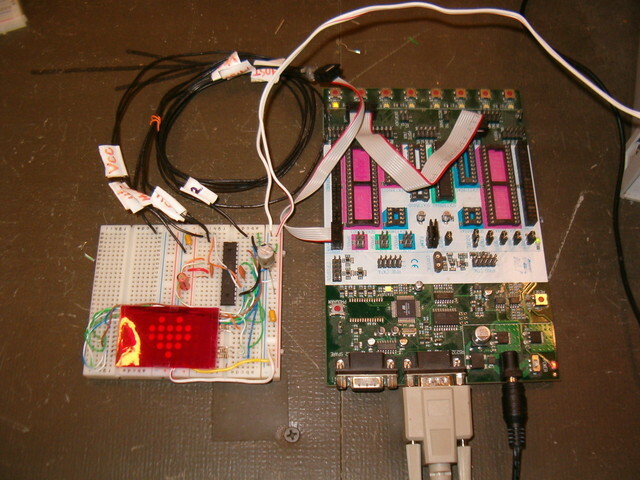 Text messages are pre-programmed into the memory of the device's microcontroller. 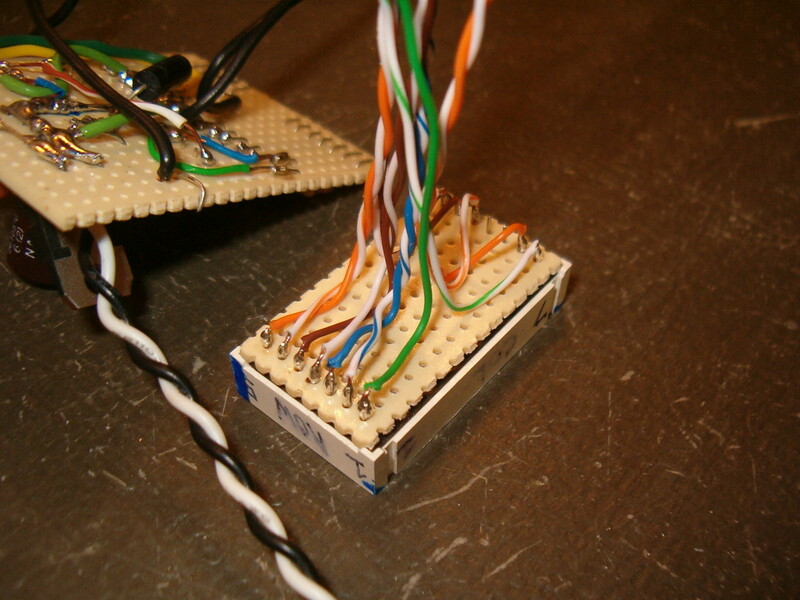 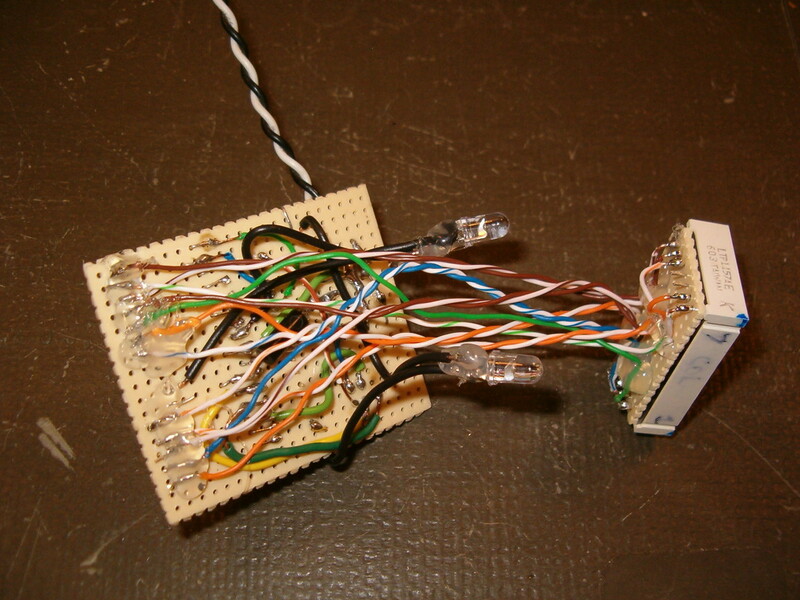 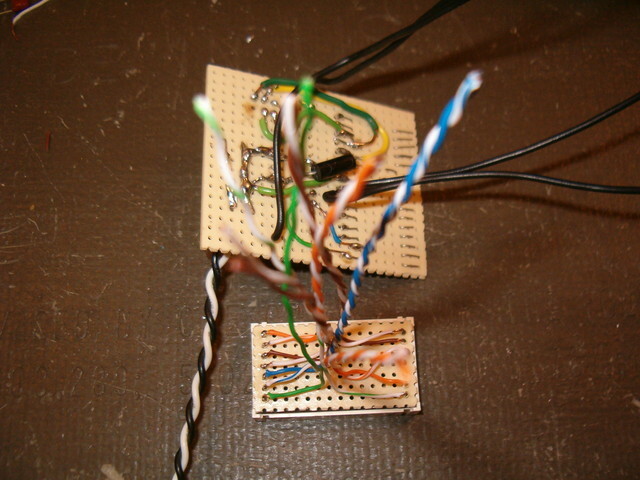 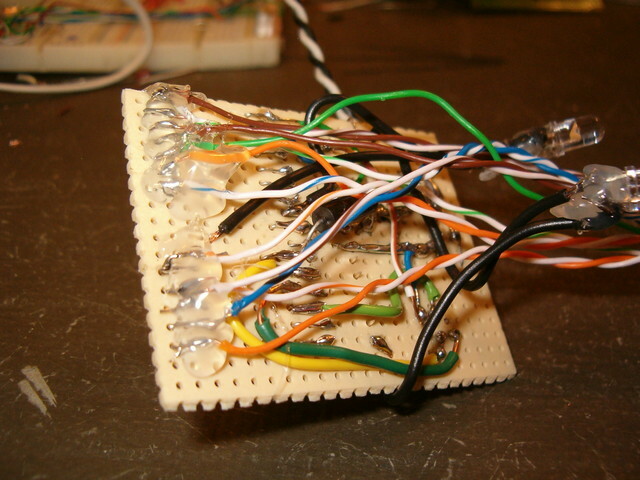 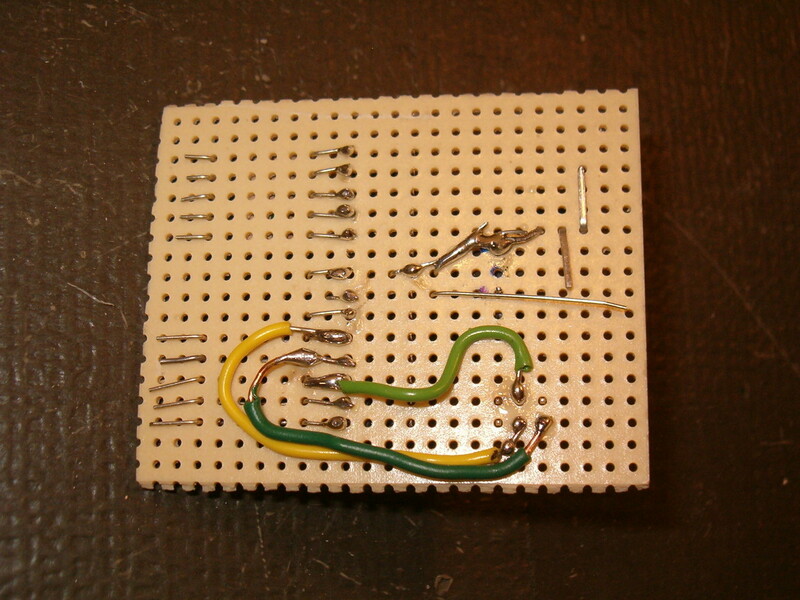 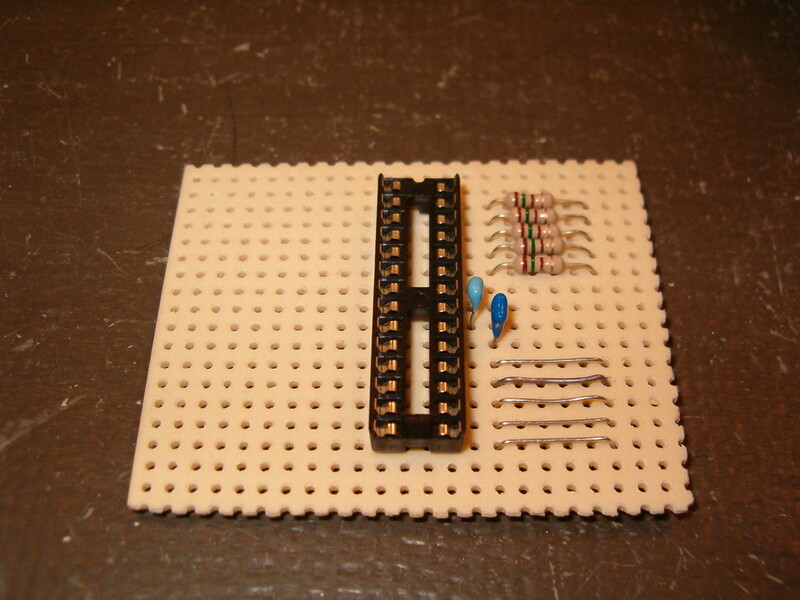 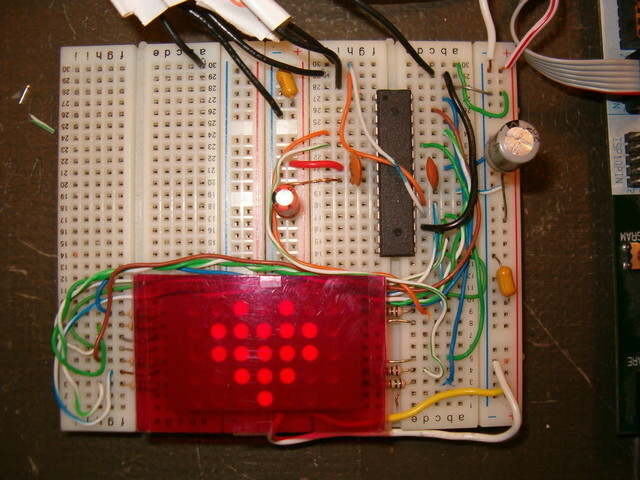 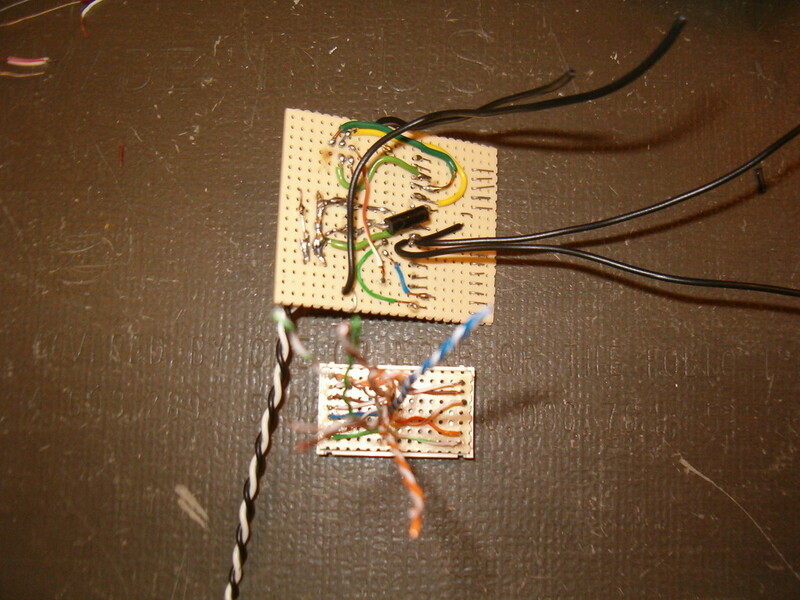 When triggered, the microcontroller uses a 5 x 7 LED matrix display to print out the messages. Some messages / icons are static and others scroll across the screen when displayed. Mother Bug is always on, but it normally "sleeps" in a low-power state when not active. 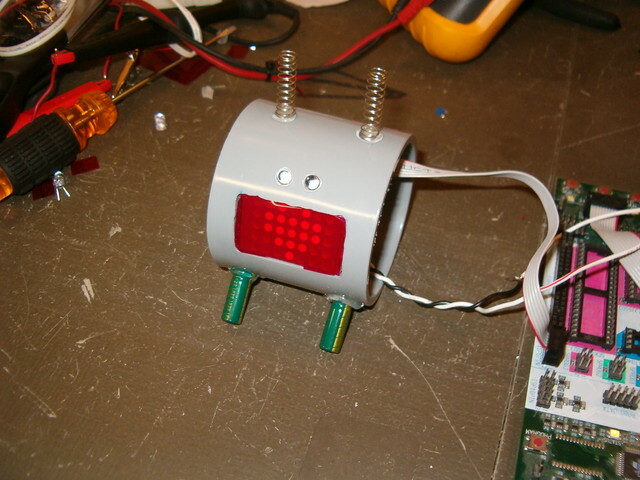 It is activated when motion is detected in close proximity to its "eyes". 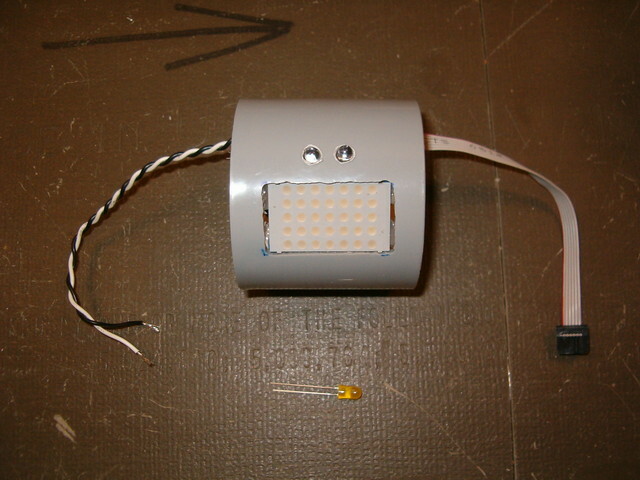 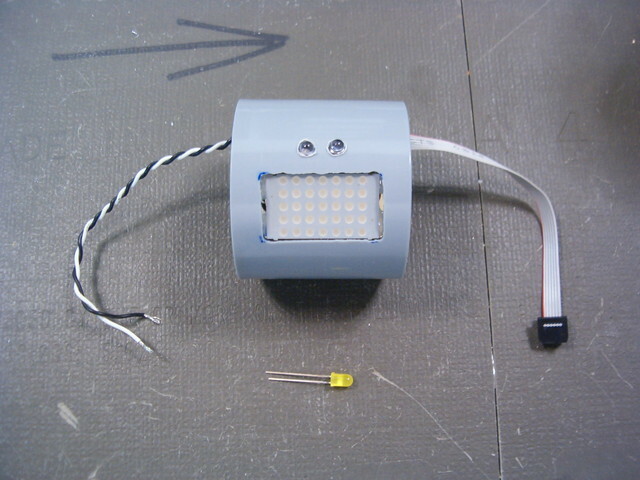 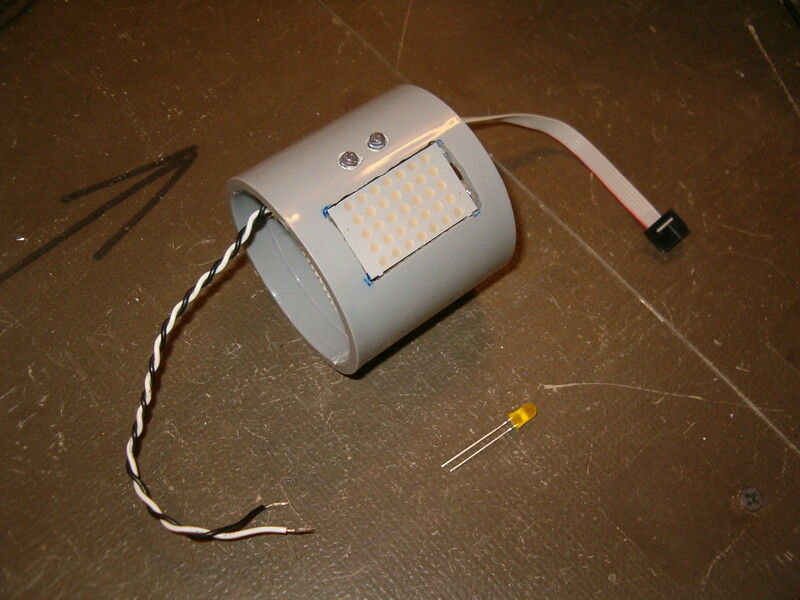 The "eyes" consist of two infrared (IR) LEDs, one used as a transmitter, and one used as a receiver (respectively). 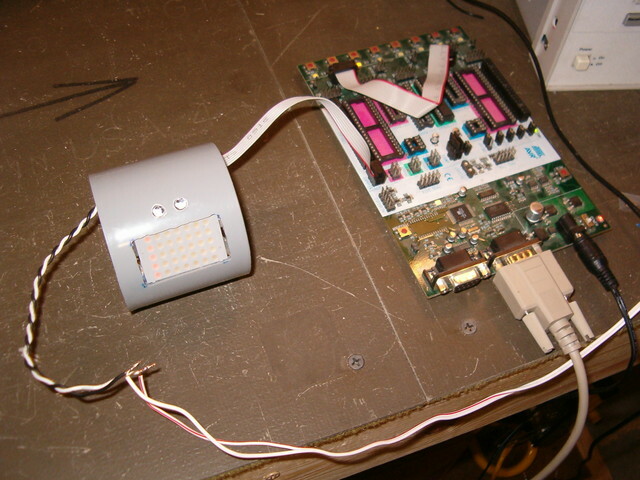 The presents of a hand or other object near the LEDs causes the IR light from the transmitter LED to be reflected back into the receiver LED. 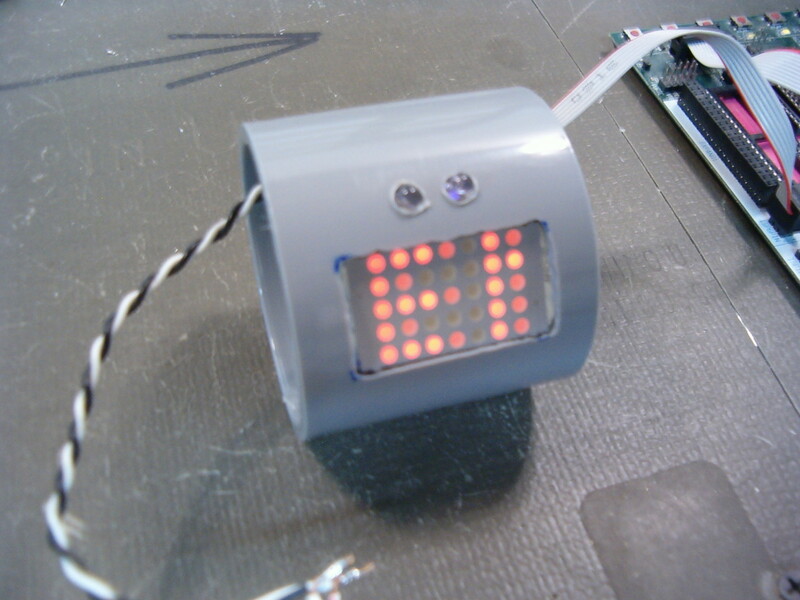 After the device wakes up, it prints one of the pre-programmed messages; chosen at random. Mother bug then returns to its low-power "idle" state. 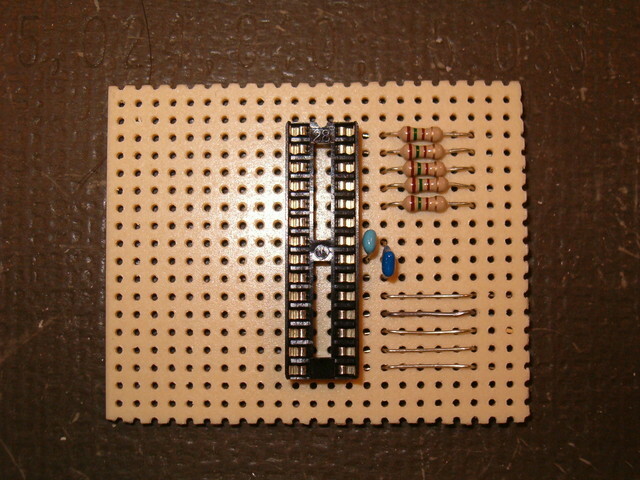 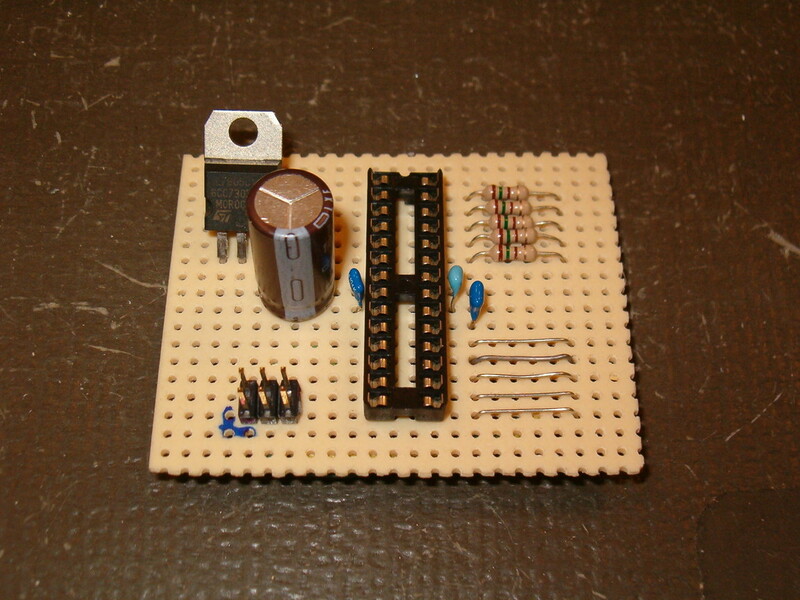 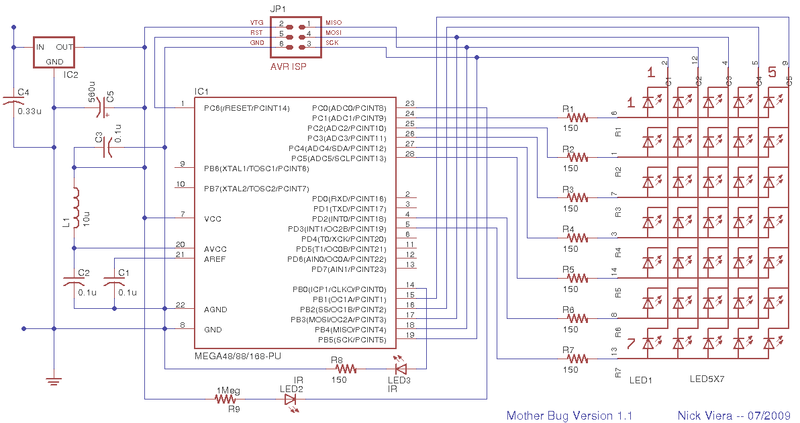 The schematic for Mother Bug, version 1.1 is shown below. When I first came up with the idea to make the electronic circuit part of Mother Bug, I had no idea how I would package the device. 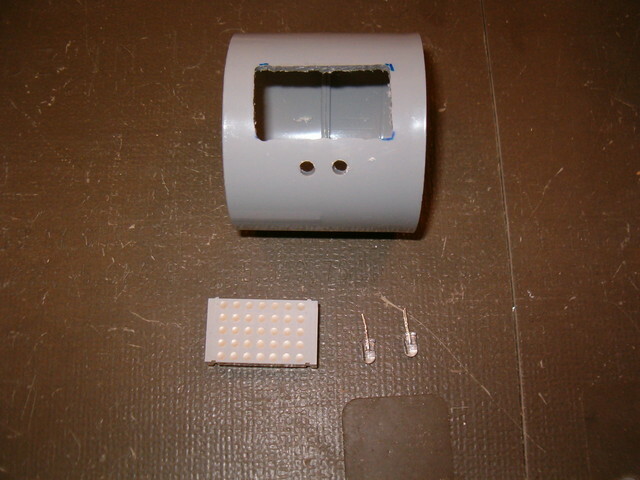 I was originally considering mounting the LED display and circuit board behind a small piece of clear plastic such as lucite or lexan. 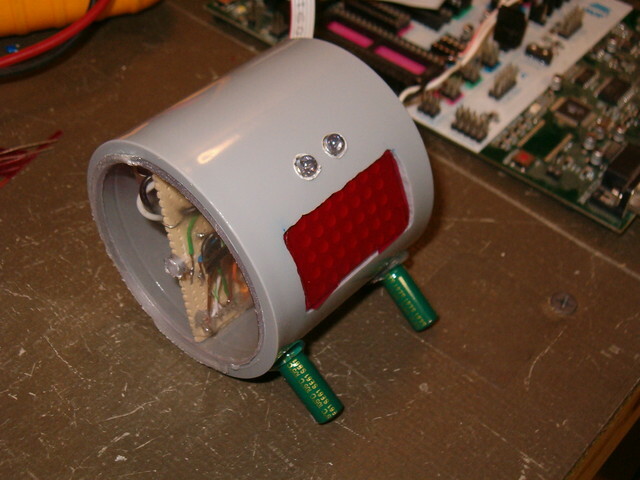 However, I decided it would be cooler to try and make the casing for Mother Bug more of an art piece. 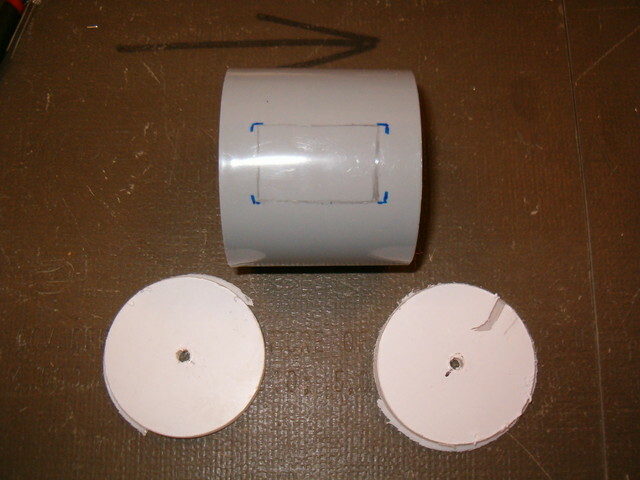 I ended up designing the casing for Mother Bug around a 2 inch diameter PVC coupler because I had extras laying around. 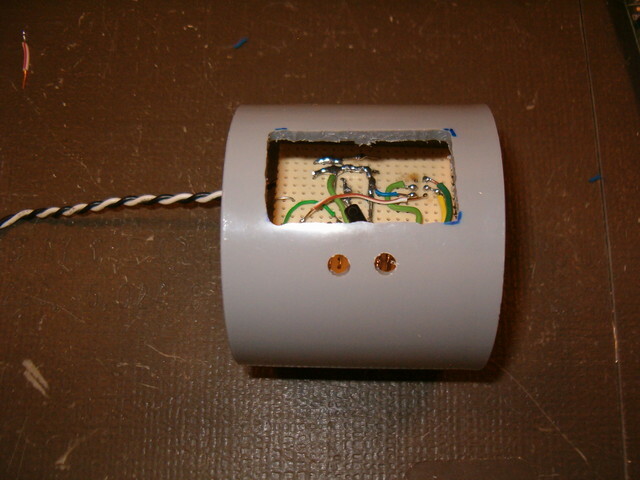 The coupler I used is gray because it is designated for use with electrical PVC conduit. I used a drill to create two holes for the infrared LEDs, and a Dremel to route out a rectangular opening for the LED matrix display to show through. 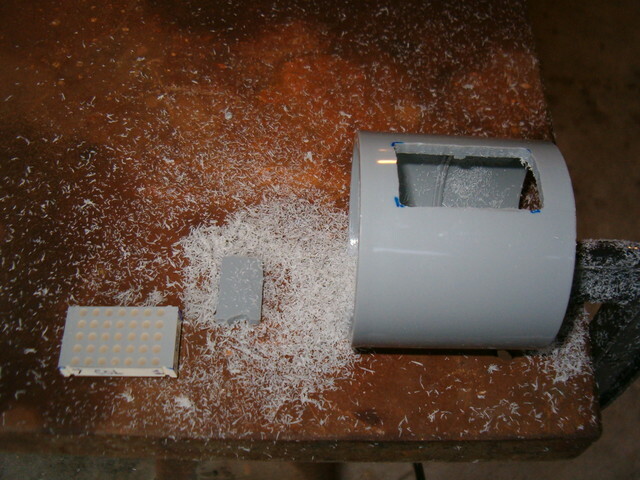 Transforming a PVC coupler into a case for Mother Bug. 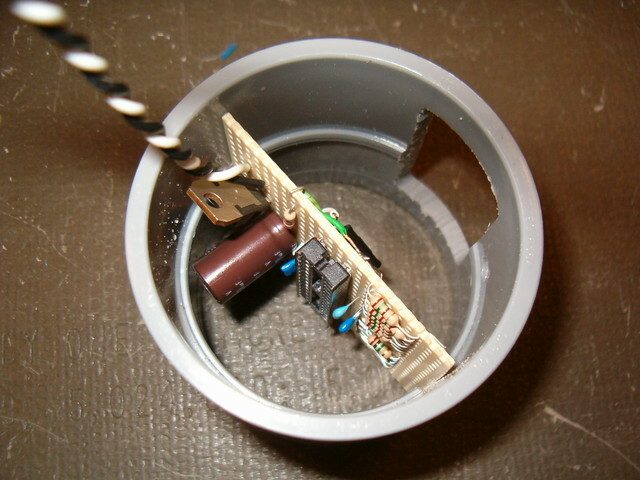 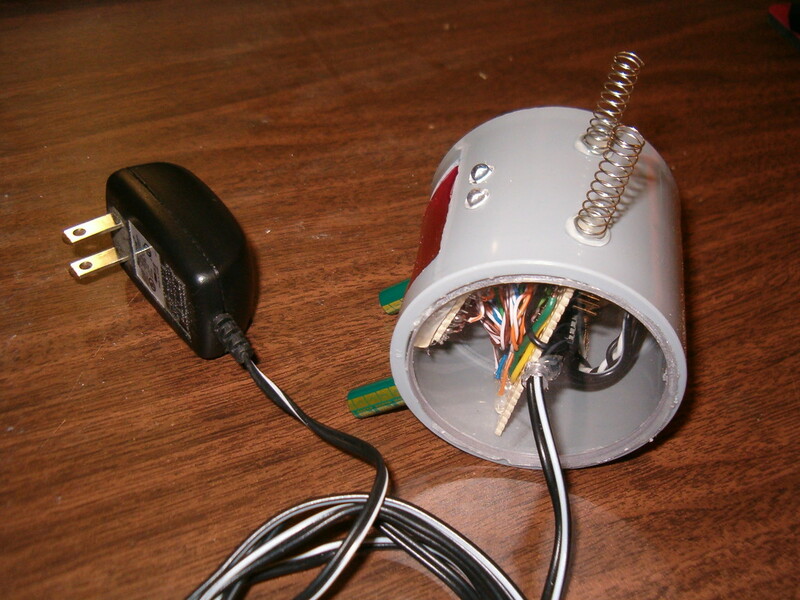 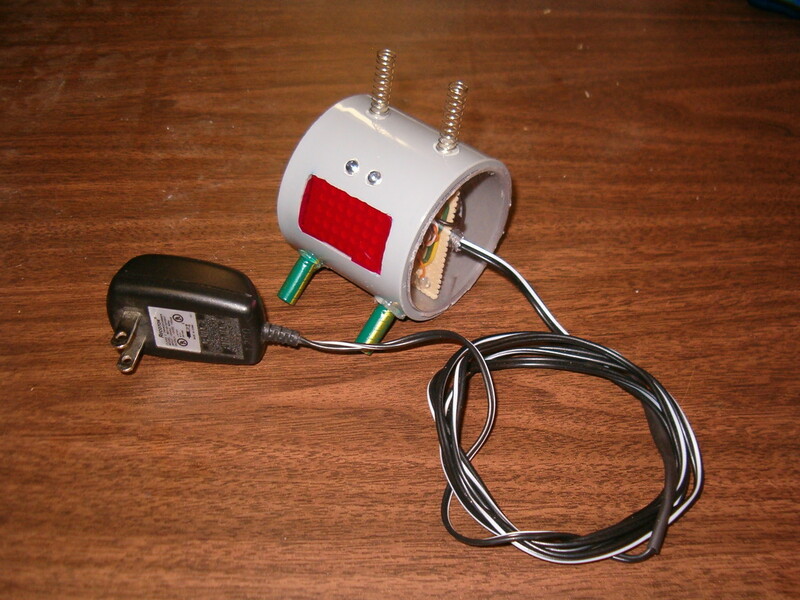 End caps, capacitor-feet, and spring-antennae finish off the appearance.